Empire Tents is a leading manufacturer and supplier of stretch tents in South Africa as well as the rest of Africa. 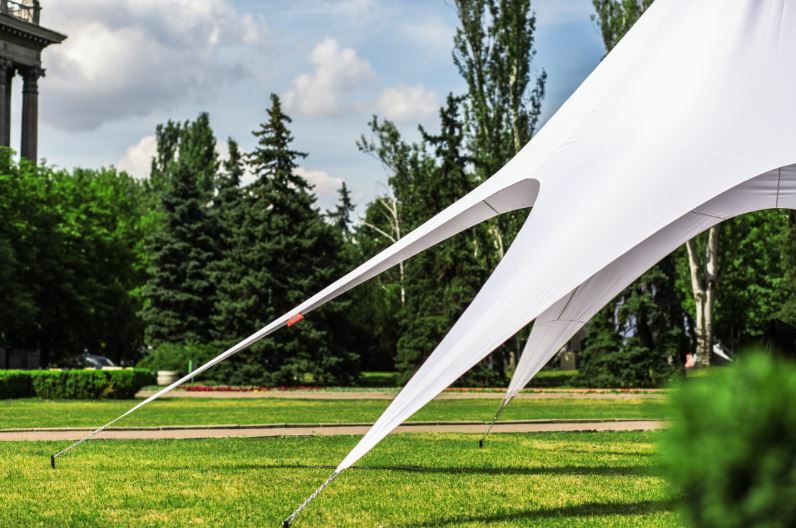 Our stretch tents are developed from the highest quality of materials to ensure customer satisfaction, as well as a safe and steady tent for your next event! Empire Stretch Tents can be used as wedding venues, party venues and also as a church venue. They can be erected on almost any ground surface. Our stretch tents have also been used as storage venues, exhibitions and also for corporate event venues. Our tents are all 100% waterproof, water repellent, fire retardant, UV resistant and also, antifungal protected. Our products are able to withstand various weathering factors, making them well suited for the harsh African climate. The structural form of a stretch tent is unique, they give off a classy look and feel to any event that they have been used in. Our product is both extravagant as well as quick and flexible to erect, they can be used as both a permanent or temporary venue solution. The styling of these tents has been developed to give your event a memorable look that guests will speak about for years to come! They are available in a range of colours, be sure to inquire with Empire Tents on your next tent order. Newer wedding trends show that more and more people around the world are opting for outdoor weddings as well as special events and even corporate functions. Using stretch tents for these events creates a rather relaxed atmosphere for guests, the robust and modernised look of these tents creates a “Wow” factor from a distance and an even greater effect for guests once they are inside. All of our products are distributed throughout Africa. Relying on the latest technologies to develop our tents ensures a satisfaction guaranteed product that can be used for both personal and business use. With an exemplary standard of workmanship as our benchmark, we are here to bring you event satisfaction time and time again. We can custom-design and develop any stretch tent that you require. We manufacture the best Stretch Tents in Africa! Where can I use this tent? These tents are waterproof and water resistant. Bad weather will not be spoiling the event. Strong fabric, makes for long-lasting use. Less expensive than peg and pole tents. Set up quicker than large marquees. Absorbs sound and material fabric makes the tent less ‘stuffy’. Break down to a small storage bag. This makes transporting the tent easy. Up to 5 people can rig up the tent. Getting married and want an exotic feel to your special day? These magnificent wedding venues are adaptable and can be erected however you want to set up your ceremony or reception. We have tents for sale in a wide variety of colours that will turn your wedding into a dream. As a stretch tents manufacturer, we strive to give customers a product that suits all your function planning needs. We offer a high-quality product at a reasonable price. You can rig your new tent off of an existing building. To protect against weather, just let down one or even all sides down for comfort. Don’t wait on finding the perfect venue, Empire Tents has just the solution. Host it in style with one of our superb manufactured tents. Call us now for all your tenting needs.